David Hakamaki, Cr.Photog., hails from beautiful Upper Michigan. 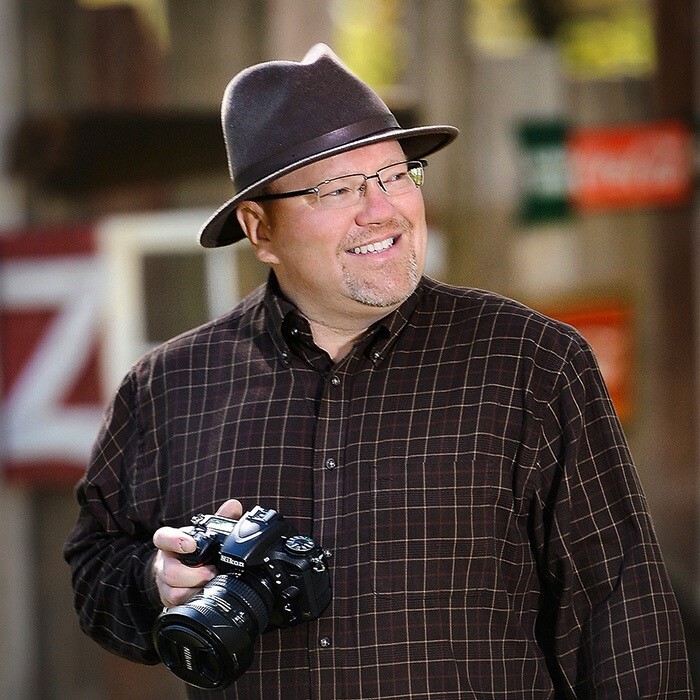 Operating a full-time home-based studio and living in a small, rural community in Upper Michigan, David has gained national recognition for his work and is now known as the “Home Based Photography Guru”. David started out in the business world and later opened his photography studio in 2002. His studio quickly became the highlight of his region, through his unique style & client interaction. He has taught business, marketing and economics at multiple colleges. He trains photographers on all aspects of posing, lighting, client relations, business and marketing across the country. David serves on Simply Color Lab's Simply Seniors Speaking Team and is one of Savage Backgrounds’ Featured Photographers. His presentations not only focus on photography and lighting, but dig deep into the art of sales, marketing and client interaction. David uses his fun, quirky and dynamic teaching methods to offer a unique approach in presenting real world solutions to all levels of photographers. David is a proud member of WPPI and PPA. He serves as Education Coordinator for his local Business Networking International (BNI) group, is highly active in his local community, serves as a Girls travel softball coach and roams the country with his family in search of adventure. Photographers deal with light every day. By allowing yourself to become the master of light, you can find new and unique ways to diversify your work and make it stand out. David Hakamaki will walk you through a myriad of lighting options, including natural light, studio strobes, continuous lighting and portable LED lighting, to show you how many ways a subject can be featured. ​Attendees will gain a better understanding of lighting ratios, direction/intensity of light and how any light source can go in your bag of tricks. David’s studio is definitely unique. People know who he is and what products his studio offers. This session is a stepping stone to developing your identity and marketing approach. Don’t allow yourself to “throw it against the wall and see if it sticks”. Find out who your target market is and how to develop an effective marketing campaign. Dive into effective use of social media (Facebook, Instagram, etc.) and social marketing. Explore what social marketing trends work and don’t work, as well as unique marketing techniques used by Fortune 500 companies that can easily be used by your photography business. Taking macro photos of small items or subjects is difficult for many photographers. Finding the right balance of lighting, depth of field, background, and angle often frustrates many people. David Hakamaki will discuss all of these elements on taking stunning photos of small items, products, jewelry, crafts, flowers, insects and other small items. He will open your minds to the use of unconventional lighting and when to incorporate it, determining how to manage macro photography’s bewildering depth of field issues, equipment choices, as well as ideas to make any item look like it was professionally photographed. Lastly, once those macro photographs have been captured, David will show various ways of printing them to create beautiful works of art by correct choice of printing substrate with either a lab or your own printing equipment.